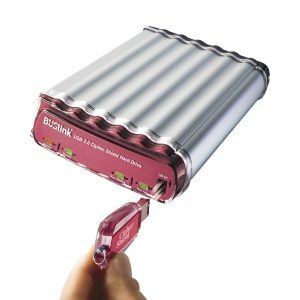 With the support for 4 transfer interface of USB 2.0, FireWire 400, FireWire 800, and eSATA, CipherShield Quad Interface AES Encrypted Drive is ideal for corporate users who works between multiple computers with multiple interface ports. CipherShield design features a chip embedded in the access key which matches the AES encryption module on the controller board. 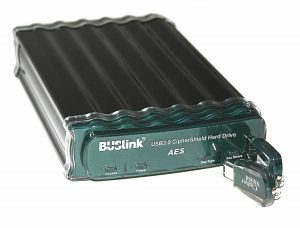 The drive will automatically lock down its content once the key is unplugged, or power is shut off. And without the access key, data will not be seen or accessed in the event of theft or loss of the external drive. 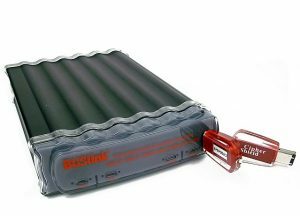 Data stored on the hard drive are safeguarded by hardware-based National Institute of Standards and Technology (NIST) certified industrial strength AES (Advanced Encryption standard) cryptographic engine. The advantage of hardware encryption over software encryption is that you need not be concerned about Trojans/viruses or software upgrades, which results in a decrease of total cost of ownership. 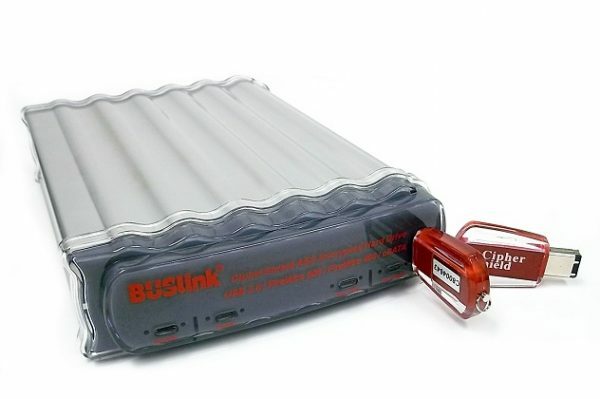 Since CipherShield encrypts data independent of the operating system; removing the drive and connecting it directly to the SATA BUS will not defeat the encryption. Unit is bundled with two keys and registration is required for key duplication.